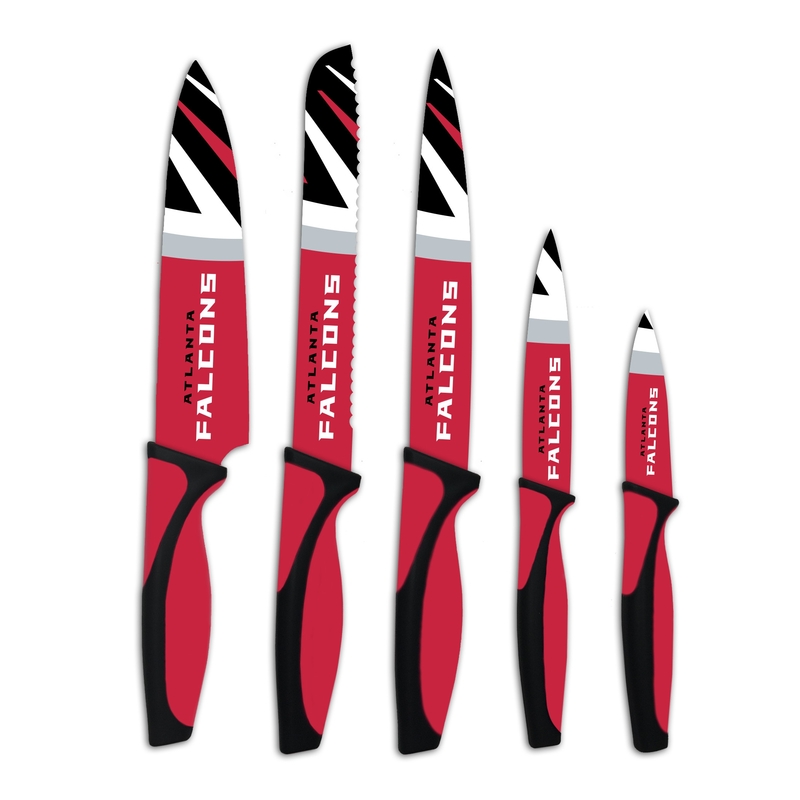 Show off your support for the Falcons with the Atlanta Falcons Kitchen Knives Set of 5. 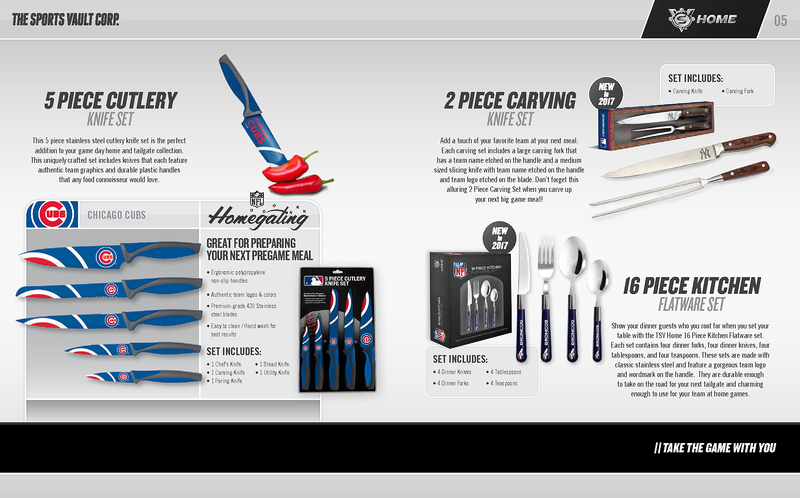 These knives are officially-licensed by the Nfl and the perfect addition to any true Falcon's fan home. The set of five comes with a bread knife, utility knife, carving knife, paring knife, and chef's knife. Each knife is designed with the vibrant Atlanta Falcons mascot, Freddie Falcon, and infamous color scheme. Designed to go the extra distance, the blades are crafted from extra durable stainless steel. 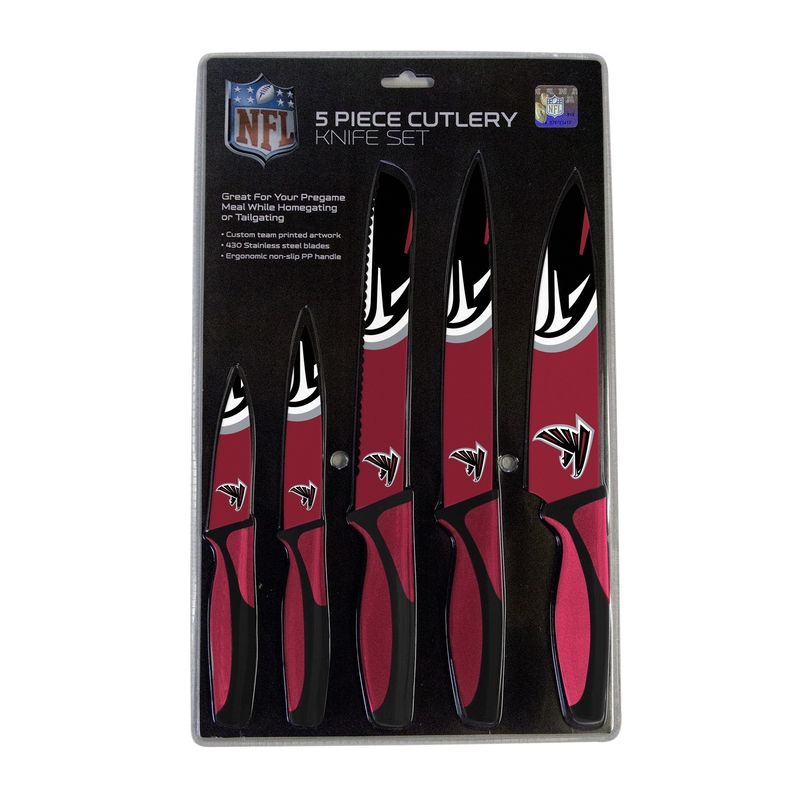 The Atlanta Falcons Kitchen Knives Set of 5 feature a soft grip polypropylene handle, which makes them ergonomically sound and non-slip. 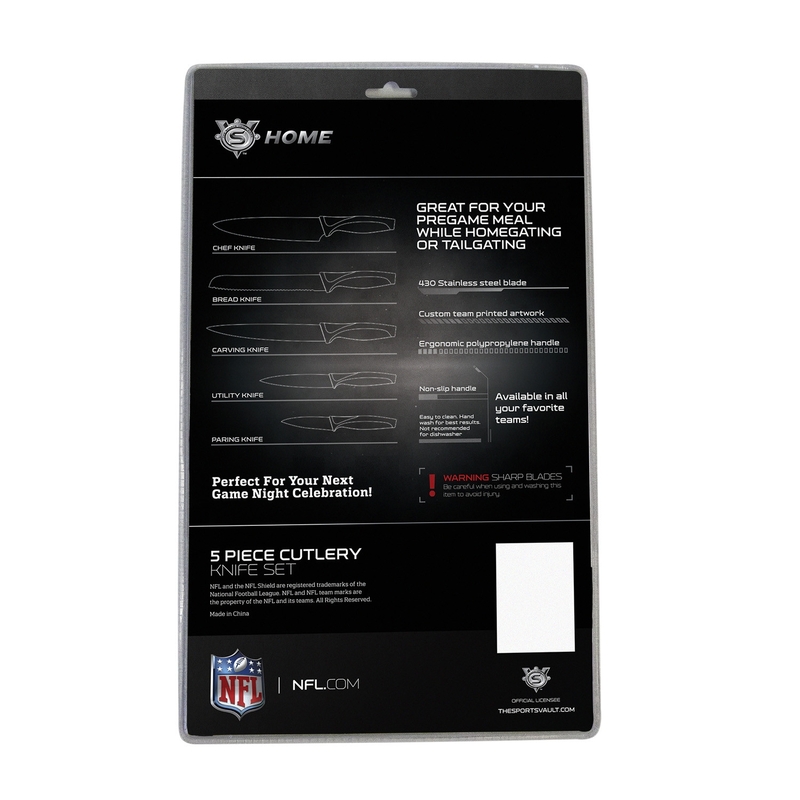 Reserve the Atlanta Falcons Kitchen Knives Set of 5 for yourself or for someone else as the perfect gift.